Holidays in the classroom: What do you do? They say it’s the most wonderful time of the year but as educators in a preschool classroom sometimes that can be questionable! 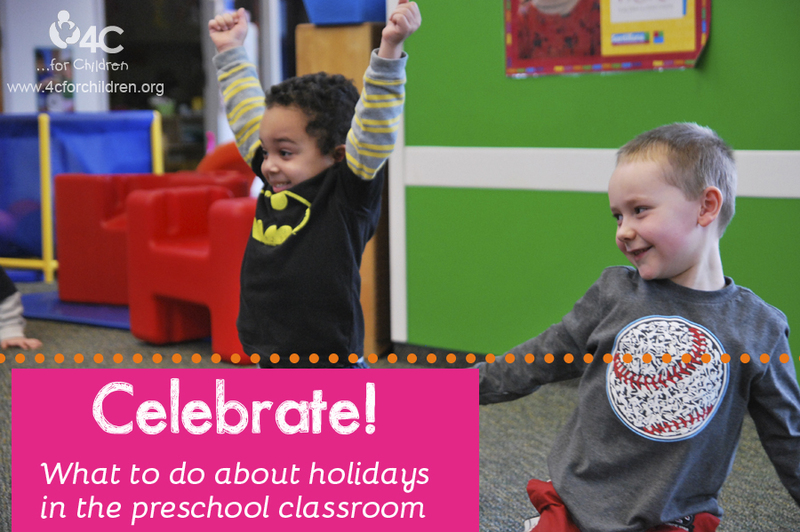 Setting aside the fact that the cold weather has restricted outside play and the cold virus is regrettably being shared among students and staff alike, it can be daunting to think and plan for holiday celebrations in the classroom. Let’s be honest: times have and are continuing to change. Where do we stand? What do we do? Be open to change. Change is change. No matter what articles you read or quotes you make as your screensaver, the truth is that change is difficult for most people. And while it doesn’t come naturally or feel good at the moment it is absolutely necessary. As Charles Darwin once said “It is not the strongest of the species that survives, nor the most intelligent. It is the one that is most adaptable to change.” Be willing to try something new and be prepared to fail but most importantly, just be open to doing it differently than you are used to doing it. Venture into the unknown and embrace what it has to teach you. At the end of the school year, take time to evaluate what worked or what didn’t work: observe, assess and reflect. Be respectful. While I don’t have the easy, “quick fix” answer for how to perfectly incorporate holidays, world culture and individual culture into your classroom, I do know that it all should be done with respect. Have good intentions but even more so, acknowledge and appreciate the uniqueness of others in your classroom and in our world. Remember that those innocent little faces are looking up to you and taking notice of your reactions, both verbal and non-verbal, and then will decide how they will react. Whether you share the traditions being shown or enjoy the songs or treats being shared at the time or not, respectfully recognize each and every opportunity and be mindful of the example you are exhibiting to your students. We as educators need to strive to create a developmentally appropriate and culturally sensitive environment that works for our classroom, remembering that each year this could change and needs to be adapted based upon the children in our care at the time. There is no simple answer, no quick fix but being educated, open to change and mindful in our teaching is a step in the right direction. What steps have you taken to embrace cultural change in your child care setting? How do you avoid getting into a ceremonial rut each holiday season? What are some barriers you face? This entry was posted in Best Practice, Preschool, teachers and tagged family tradition, holiday season, holidays in the classroom on December 17, 2014 by bdoverspike.